Tarot spreads are the various patterns used to lay cards into once a question has been determined and the deck prepared through shuffling and cutting. After the question has been refined and stated clearly, the very next step towards understanding the cards is to lay them out in a pattern than truly suits the issues. Moving through the wide variety of reading and spread choices available at Tarot.com (including the free 3-card tarot reading available to non-members at any time, linked in the image at right) you will see that predominantly there are 11-card spreads and 5-cards spreads. There are a few others there to round out the collection (the Horoscope spread and the Tree of Life, for example), but the main emphasis is on the numbers five and eleven. Both of these numbers (due to both internal properties and their sequence in the flow of numbers in general) highlight individuality, uniqueness, personal empowerment and one-of-a-kind qualities that can help you set your stamp on the events of your life. They are both odd numbers, and they are both prime numbers, among other qualities they share. 5 in particular relates to the unique personal view each separate individual has from inside their own skin, where 11 refers to the work of differentiating oneself from the pressure of surroundings, circumstances, and the “givens” that press in from the environment. We are highlighting the shorter spread in this issue because it poses less of an interpretive challenge for the new reader, even though it offers a goodly amount of detail in a compact form. The first two 5-card spreads, Love Bottom Line and Relationship Bottom Line, are about love and relationship, therefore the lineup of positions reads Advice, Loved One (or Significant Other), Self, Situation, and Potential. 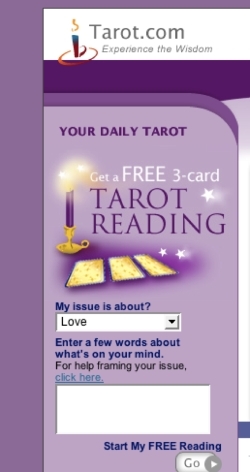 Both these spreads are designed to answer the questions most asked by people who want romantic advice from the cards, whether for an existing or a possible relationship. When you scroll down to the Career Bottom Line reading, however, you lose the Significant Other position and instead see a position called Challenges/Opportunities. (There is also a category called Long-term, but this is actually just a renaming of the Potentials position as seen in the relationship readings, rather than being an entirely different idea.) Note how fully the change of just one concept among the positions can change the flavor and tone of the whole reading! Let these small adjustments inspire you to take liberties with any spreads that you find in Tarot books or learn from your friends. As long as you clearly define the intended meanings for each position before you throw the cards out, you can bend or selectively mutate one or more of the stations of any known spread to make it more suited to your subject. There’s never a need to confine your questions to “one size fits all” spreads, once you understand the process by which the spreads themselves are constructed. When you call up the Family Bottom Line spread, not only do you find a Challenges/Opportunities position, but you also see that the Long-term Potential position is replaced by a more short-term future position, called Developments. That changes the focus again, giving less emphasis to the broad time-horizon needed for strategic career planning (or relationship evaluation for that matter), highlighting instead the more immediate event-by-event focus most often requested when confronting challenges at home. The Financial Bottom Line is one of the two be-here-now spreads. It has left behind any pretensions of reading the future either near or far, but instead delineates a position for Allies, as in people you can trust to help you out and watch your back. As with all of them at the tarot.com website, the interpretations you read for the cards picked will be “flavored”, in this case with talk about money and investments. However, if you want to widen your definition of investments to include the areas of your life where you are spending time, energy, or creativity, this spread might be as good as the Daily Reflection for self-accountability. The other totally present-oriented 5-card spread is the Peace and Harmony reading. This one includes a position for the Higher Power, as well as a position for Challenges/Opportunities. The contrast between the highs and lows of the moment is what gives this spread its psychological bite, with the Self (ego) position standing at the center, hoping to balance out the influences. The Time Line spread is the remaining 5-card option in this lineup. This one has no Self, no Situation, no Advice, no Challenges, nothing whatsoever to do with nuance, psychology, or any kind of editorializing. It is strictly a time-based analysis, meant to address issues of “what happened, what is happening, and what will happen as a result?” Questions of timing seem to be the very hardest thing for new Tarot readers to gauge, so we supplied this spread to help make such matters more explicit. The Timeline spread offers a deep past, recent-past, present, near-future, and far-future position. However, one could just as easily use the stages of a baseball pitcher’s delivery of the ball over the plate as the model. In that case we would call the positions “the wind-up, release, the ark of the ball, the batter’s response, and the final call by the umpire”. From this point of view, all of the stages of a given event (even something that takes a year or more to play out) are just parts of a single “big now”, so they can all be bundled together into this five-card snapshot without venturing too far into prediction or forecasting. For interpretation’s sake when using the Timeline spread, you can expect the “near and far future” positions to reach as far into the future as the “recent and distant past” cards look back. Hence it is very important to fully establish what those Past cards are referring to, so you can set your time-line and get a sense for how the sequence is coming along. With these variations on a 5-card spread in your repertoire, you will be in great shape to begin practicing on friends and family if you haven’t already. You can easily make flash cards for each of these spreads and keep them with your Tarot pack. That will help you scrutinize which spread might best serve the needs of your question, without worrying if you haven’t yet committed them all to memory. Or you can just make a master list of all the possible positions you have heard about or read about across your Tarot studies. That leaves you free to pick out the most relevant ideas to define your spread at the moment when you are ready to shuffle and draw. Formal, pre-set spreads are great tools to help a person get a first sense of what the Tarot can do for them. But in my opinion, the real fun begins when you extend your creative imagination into the realm of customized spread design. I hope this article gives you the courage to experiment, be bold, and make your Tarot experience as individuated as your own unique personality. If you'd like to participate more fully by clicking through these links at tarot.com, you'll want to sign up as a member - it's easy and free, there's a strict anti-spam policy and a few divination membership perks, and you get $10.00 credit toward free readings. I FILL A CLOSENSS TO THEM FOR SOME REASON.